You can train like everybody else or you can TRAIN ELITE! Flex Studio’s Pilates private training are the most comprehensive Pilates sessions available. Executed on over a dozen pieces of original Pilates equipment according to the Classical Pilates principles and system of delivery, you simply can’t find a better workout. Let us pair you up with the perfect Instructor for your goals and start your Pilates transformation. Your First Step to Transformation. Knowing where to start your Pilates fitness journey can be overwhelming . 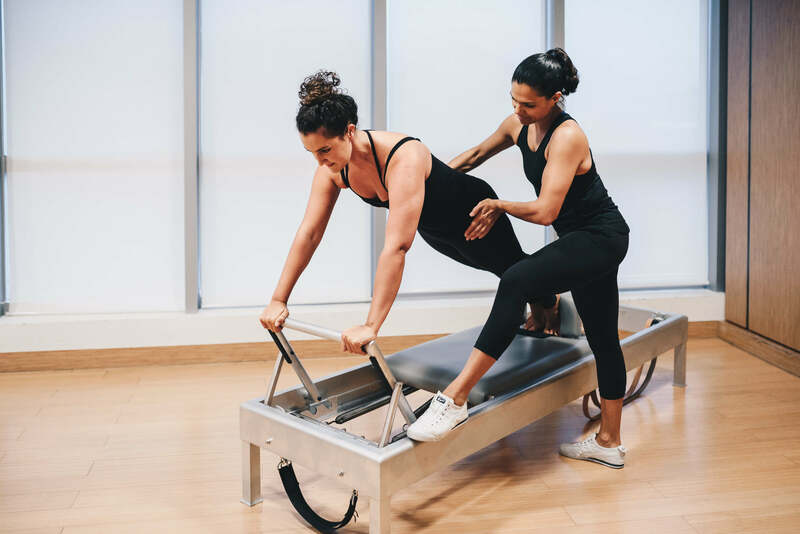 Start with Flex’s Bespoke Pilates Assessment, the most effective way to understand the Pilates system, your body’s specific needs and appropriate class level, and efficiently plan your workout program. The Assessment starts with a Reformer workout, during which the Instructor will observe your body’s mechanics, followed by a short spin on the Mat. Based on his/her observations, the Instructor will finish the session on other apparatus with exercises tailored to to challenge and re-balance your body. After the Assessment, the Instructor will design a bespoke workout plan designed to meet your fitness goals and address any key concerns you may have. He/She will also direct you to appropriate group classes to augment your training. Whether you plan to take private sessions or group lessons, a Private Pilates Assessment is your key entry point for achieving peak physical performance. Prepare to sweat, stretch, and learn about your body under the guidance of HK’s most experienced instructors in this valuable 60 mins session. Put your body in the hands of a real fitness guru and watch transformation unfold in the way you move, look and FEEL about your body. A private Pilates session in our Classical Pilates studio will change and improve your approach to movement for life. In each session, our experienced, fully certified instructors will assess, challenge and move your body to a performance level you didn’t realise was your true capacity. Using Classical apparatus, following Joseph Pilates’ original system of Contrology, each bespoke session will push you to your peak physical potential. Personal Pilates also leapfrogs improved posture goals, post natal recovery and rehabilitation. Suitable for all levels. Private Assessment, plus minimum 10 Private Pilates training sessions recommended. 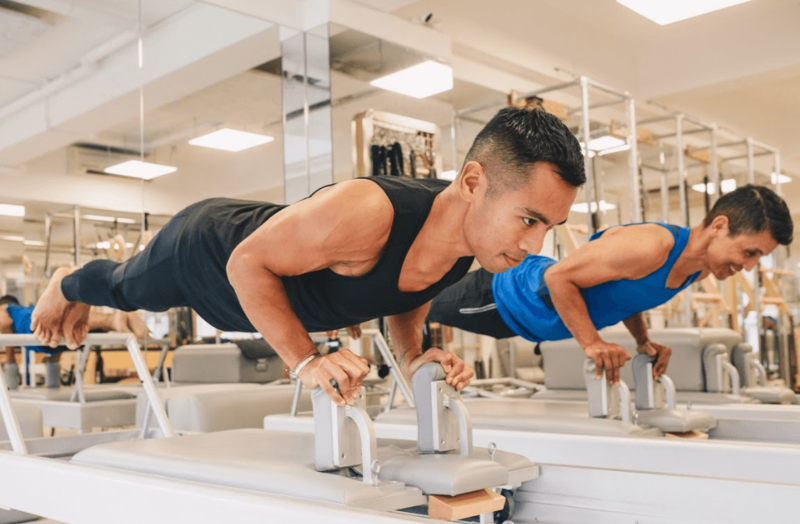 Work your abs harder on the Spine Corrector, challenge your strength, balance and stability on the Combo Chair, and learn NEW exercises on the classic Reformer – Pilates Trios are a fantastic way to use more equipment at a price that doesn’t break the bank. Dynamic and fluid like an Allegro class, with more personal correction from the instructor. Book Your Pilates Trio Now!